How do you introduce culture change at scale effectively? The solution involves simply asking all parties concerned for their input and getting them freely engaged in co-creating change. Using the high performance logistics of large group interventions, Open Space Technology (Open Space), we invite everyone who will be affected by the implementation or change to co-create the new approach together in a playful spirit. Rather than impose from above, with leaders writing the story, we invite everybody to co-write the new story together, harnessing the intimate and often latent knowledge of what will work, co-creating a new shared experience. 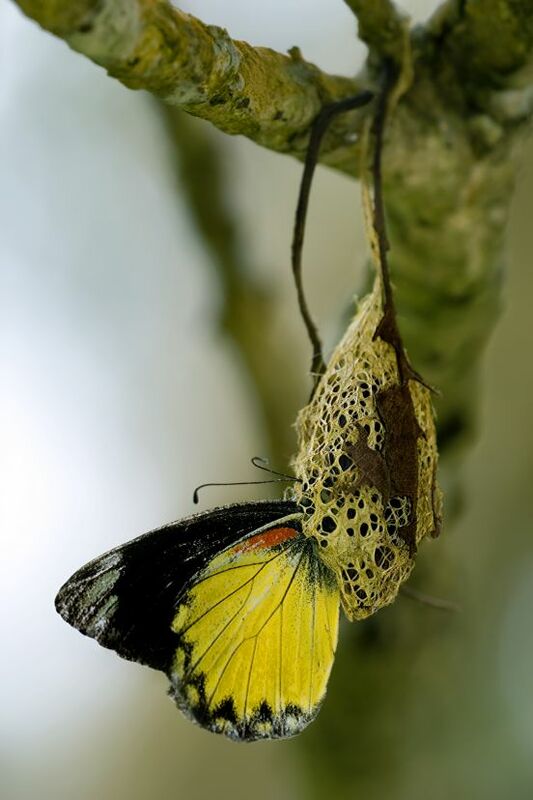 Open Smart Transformation (OST) is a method (adapted from Daniel Mezick, in Open Agile Adoption) for introducing any procedural or cultural change and adoption of new systems into your organisation. It applies the power of invitation and the ability of teams to be more productive and innovative when they are actively engaged in co-creating the process. 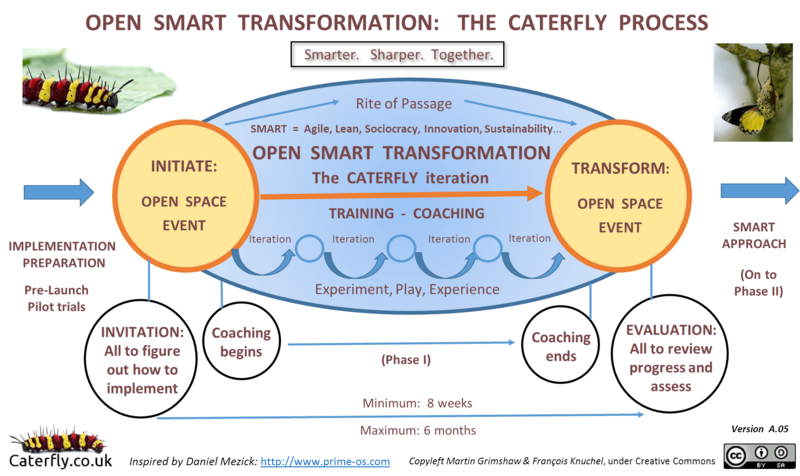 Open Smart Transformation combines the principles of Invitation, Open Space, games mechanics, storytelling, prototyping and passage rites in getting everyone fully engaged in the adoption or change process. The central Caterfly process comprises an opening (Initiation Open Space event), a middle betalab gestation ‘cocoon’ lasting several months (with experimentation, play and storytelling) and a closing (Maturation Open Space event). Each Open Space event lasts 1 – 3 days and embraces as many employees as can come together at the same time and place (typically 100 – 1,000 people depending on size of organisation / department). The clear and simple structure marked by a beginning and an end, and the emphasis on manageable and incremental adjustments, iterating to what emerges, help to minimise anxiety and upheaval during the transformation. Putting change in the hands of the employees, rather than in those of managers or consultants. Caterfly’s job is to set up the framework, get it going, and then get out the way as quickly as possible! That’s it! Want to talk it over? Get in touch for a chat. Our first consultation is always free and with no obligation. Open Smart Transformation is a derivative of Prime/OS™. Find out more about the foundations of our work, in particular the work of Daniel Mezick and Harrison Owen, here.